Gun owners wishing to apply for a Wisconsin concealed carry permit may visit the Wisconsin Department of Justice website to print an application, which became live November 1, 2011. A Wisconsin Hunter Education Certificate qualifies as sufficient training under this law. A duplicate may be purchased for $3.75 and printed using the Wisconsin Conservation Licensing System through the Wisconsin DNR. Click here to obtain a duplicate. Visit the WI DOJ webpage for additional FAQs on training requirements. These bold signs — available in a 7 X 10-inch window cling or 3.5 X 4.5-inch window decal — are ideal for any pro-gun business or property owner. They clearly communicates that concealed carry is not only permitted on the property but ENCOURAGED! Apply to the inside of windows and doors, viewable from the outside. Show every single customer who walks through your door that you support the right to keep and bear arms! When WGO was founded less than a decade ago, we were the sole voice fighting for Constitutional Carry (referred to then as “Vermont-style carry”) in Wisconsin. 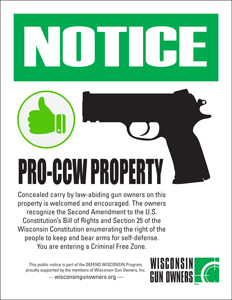 And while some groups jumped on the Constitutional Carry bandwagon earlier this year when everyone assumed the newly-controlled legislature could easily pass it, many of these individuals or groups have become suspiciously quiet on the issue lately, and seem happy to accept Wisconsin’s new concealed carry by permit law as a permanent inevitability. It is one thing to give lip service to something when victory seems within easy reach. It’s a completely different matter to fight when the going gets tough. With that sentiment, we’ll let the other groups claim victory. For our part, we’d simply like to welcome you – and invite them – to Phase II of the fight to restore our inalienable right to bear arms. 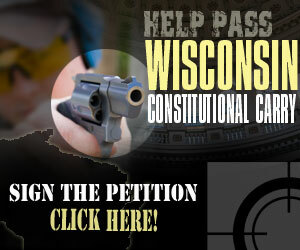 ACTION: Sign the Concealed Carry Petition for Constitutional Carry! The WGO Concealed Carry Program is for people in Wisconsin who want to learn more about gun safety, gear, shooting and tactics … while joining WGO to support gun rights. This membership offer is our best value if you want to support the Second Amendment while learning more about concealed carry and self-defense. Getting started is easy. You simply support this program by joining or renewing at one of three membership levels — $50, $100 or $300. 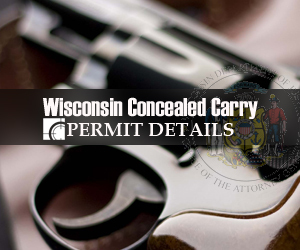 To prepare you for Wisconsin concealed carry, we’ve tailored this program with information that is critical if you are considering getting your carry permit.